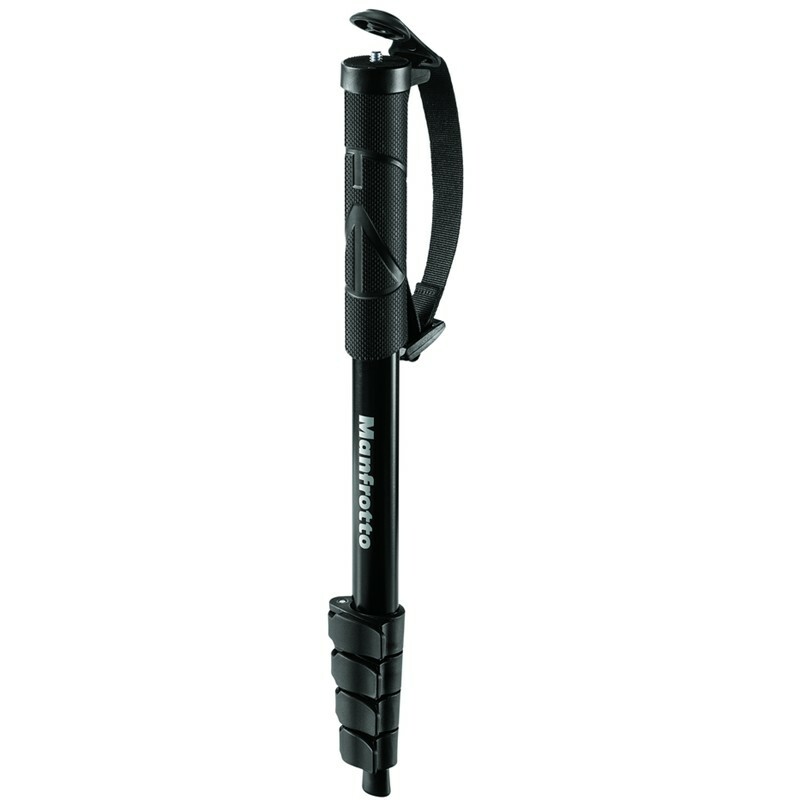 The Compact Aluminum Monopod from Manfrotto is a lightweight support for cameras weighing 1.5 kg (3.3 lb) or less. It extends from 39 cm (15.4") to 145.5 cm (57.3") and weighs just 0.33 kg (11.7 oz). Flip locks secure its five leg sections in place, and a 1/4"-20 threaded screw on the mounting platform attaches to the tripod mount of most cameras. An ergonomic soft grip and a wrist strap help ensure comfort and security while shooting, and a protective cap covers the 1/4"-20 screw when not in use.